Winter is on its way. The snow falling in the mountains now is the perfect time to plane a girl’s getaway to the Oregon Alps! The Wallowas, one of the Seven Wonders of Oregon, is a hidden gem in the northeastern part of the state. A great outdoor destination year-round, in the winter you’ll find cozy bars, a warm community of artists, plenty of alpine fun, and culinary delights. The town, named for Chief Joseph of the Nez Perce, is surrounded by the Chief’s beloved Wallowa Mountains, allowing for quick access to outdoor fun. It’s about a four hour drive from Boise, Idaho, and five and half from Portland, Oregon. 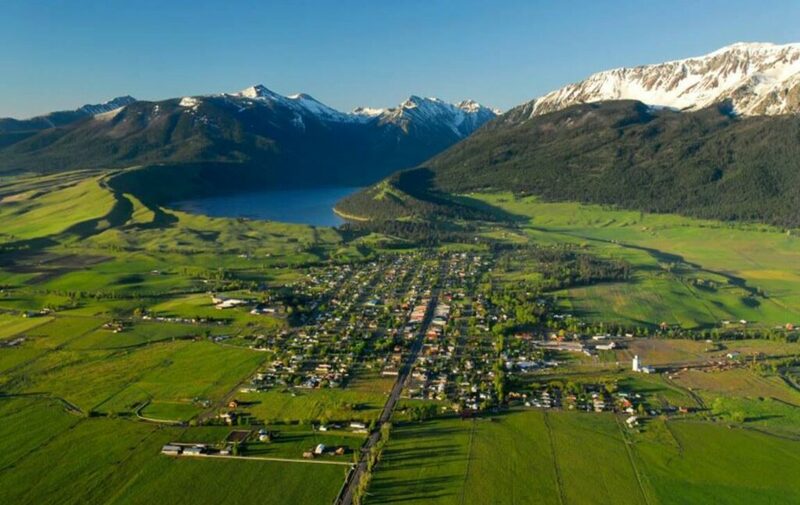 Main Street cuts right through the town, and at the south end you’ll find Wallowa Lake. Just past the lake is the Wallowa State Park, as well as access to the mountain hikes. Start your tour of the town by walking along the main drag for the Joseph Art Walk, a collection of seven monumental bronze statues set against the backdrop of the white-capped peaks. The bronze artworks got its start when Valley Bronze of Oregon was founded in 1982—since then, the foundry has been kept busy with artists from all over the country. Take a tour of the facility for a peek at what it takes to cast a giant bronze sculpture! As you stroll the town, you’ll find a range of galleries, antique shops, cafes, and more to tempt you inside. Stop by the Wallowology Discovery Center to get a sense of the geologic wonders that created the lakes and moraines surrounding the town (winter hours are by appointment only). Or head to the Josephy Center for the Arts and Culture for a look at more recent culture. Named after Nez Perce scholar Alvin Josephy, the center is a thriving community arts hub for classes, exhibits, presentations, and more. Check out their gallery and small bookshop, and don’t miss heading upstairs for a sweet homage to Josephy himself. Grab breakfast at Old Town Cafe where you can enjoy a giant breakfast burrito, puffy Swedish pancakes, or a classic sticky bun to get you ready for the day. If you’re inclined, go ahead and stay for lunch to try out the freshly made soups or carefully crafted sandwiches. For dinner, you could pop one town over to Enterprise for Terminal Gravity Brewing’s pub, or during the warmer months you can try their outpost right in Joseph, the relatively new East Fork Brewery. Providing experimental beers and a solid choice of pub fare, it’s a perfect community watering hole. You might not expect to find such a gourmet chocolate shop in the tiny town, but that’s just one of the surprises that Joseph holds. Arrowhead Chocolates makes small-batch handcrafted chocolate and serves it alongside exceptional teas and coffee. Try their award-winning huckleberry truffle, sink your teeth into the cherry amaretto, or go crazy with the habanero-lime caramel with lime fresca sea salt! Take a box home with you and see if they’ll last long enough to share. 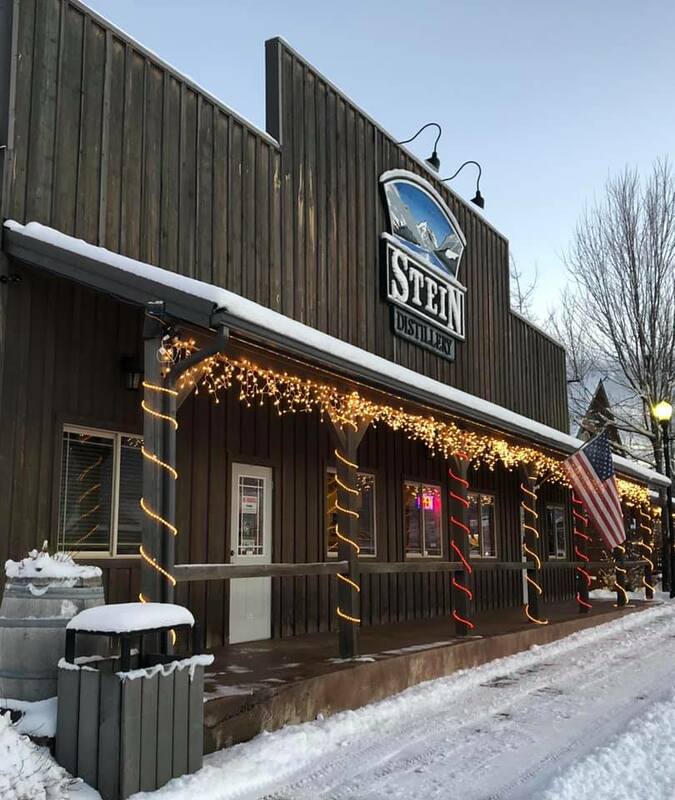 The family-run micro-distillery at Stein Distillery has been crafting fine spirits since 2009. Stop by their tasting room for award-winning whiskey, bourbon, and rye flights daily. They also make a variety of vodka, rum and fruit cordials. Be sure to ask about their SteinShine — based on the bourbon recipe, it’s directly bottled after distilling instead of being aged in oak barrels, making a clear spirit with a unique taste. Near Wallowa Lake on the south side of town, you can pay homage to Old Chief Joseph at his gravesite, a Nez Perce NationalHistoric Site. For a short outdoor hike visit Iwetemlaykin State Heritage Site right next door. Pronounced ee-weh-TEMM-lye-kinn, it translates to “at the edge of the lake,” and offers beautiful trails near Knight’s Pond. The site is a sacred place to the Nez Perce Tribe, and offers a peaceful place to remember their tragic history of forced removal from their homelands. A 2.3-mile trail winds around the pond, grasslands, and forests, all with a stunning backdrop of the Wallowas. Wallowa Village provides access to the Eagle Cap Wilderness, remote alpine peaks pocked with lakes. In the summer visitors can ride the tramway up to the top of nearby Mt Howard, but in the winter snows a few nearby trails are a better choice. From the Wallowa Lake Trailhead just 7 miles down the road from Joseph, you can find six different trails that lead off to explore the wilderness. The Chief JosephTrail is the easiest to cut into smaller bits, offering good views of Wallowa Lake and the most bang for your effort. Longer trails include Aneroid Lake andBC Falls. In late January, Joseph is the proud host of the Eagle Cap Extreme Dog Race, one of six qualifying events for the Iditarod race, and the only in Oregon. The 200mile race is the big event, but there are also smaller races of 22, 62, and 100miles throughout the week. 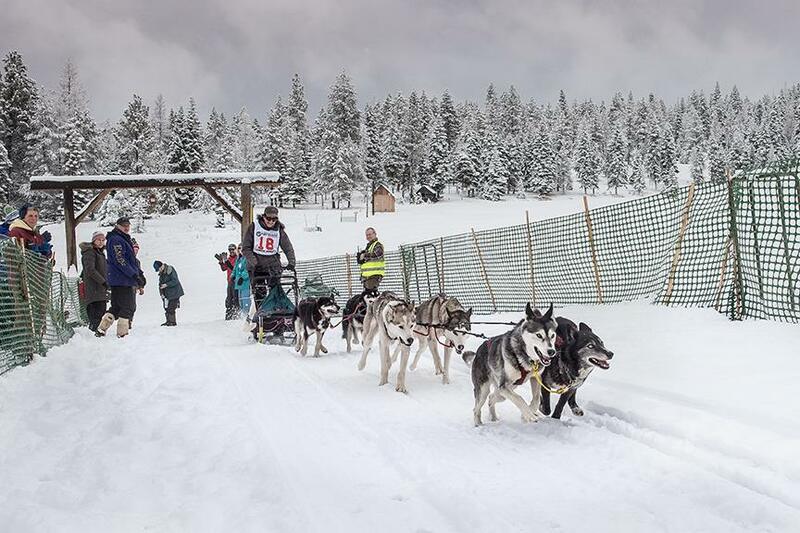 If you plan well, you can meet the dogs ahead of time, then watch the start of each race, or catch a portion along the route. Fun Fact! Last year’s winner was a woman—Miriam Osredkar to first in the 200-mile race. Book a suite of rooms for the gals at the stylish Jennings Hotel, a lovingly restored former boarding house. Funded by Kickstarter, owner Greg Hennes has carefully brought the two-story building to a beautiful modern state. Each of the 9 rooms is the work of a single person– architects, designers, artists, who bring a specific aesthetic to life. Check them out online to find your favorite to bunk in. After an afternoon nap, meet back up with your friends in the shared kitchen and library or relax even more in the sauna. Rooms starting at$95/night. 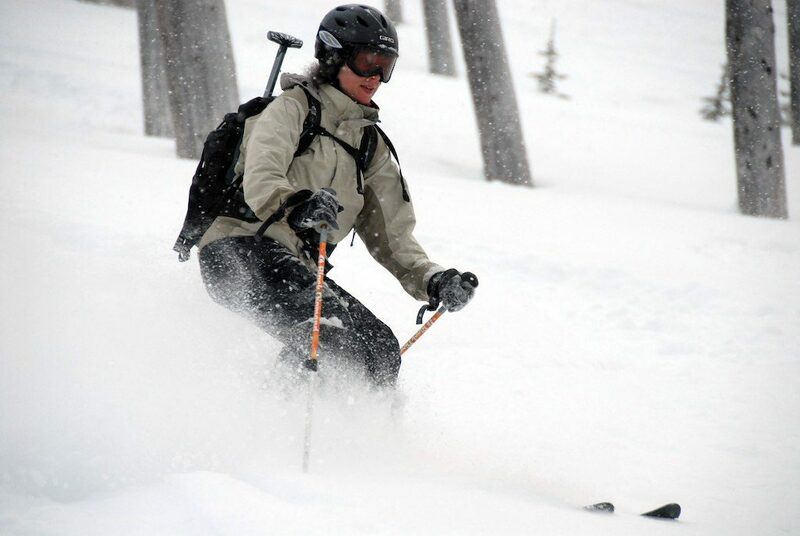 Or to be closer to the action, book a cabin at Wallowa Lake Lodge. 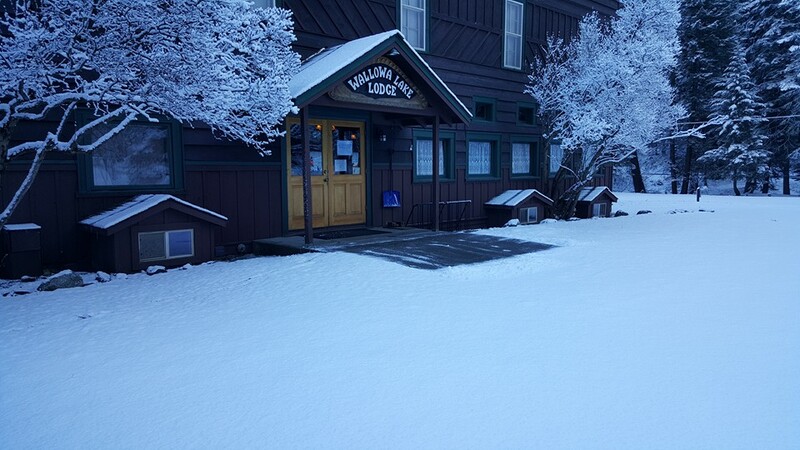 The lodge itself is closed in the winter but seven cabins remain open year-round. Your group can take their pick of 2 or 3-bedroom cabins to fit everyone snugly, with views of the lake and easy access to the trails of the Eagle Cap Wilderness. 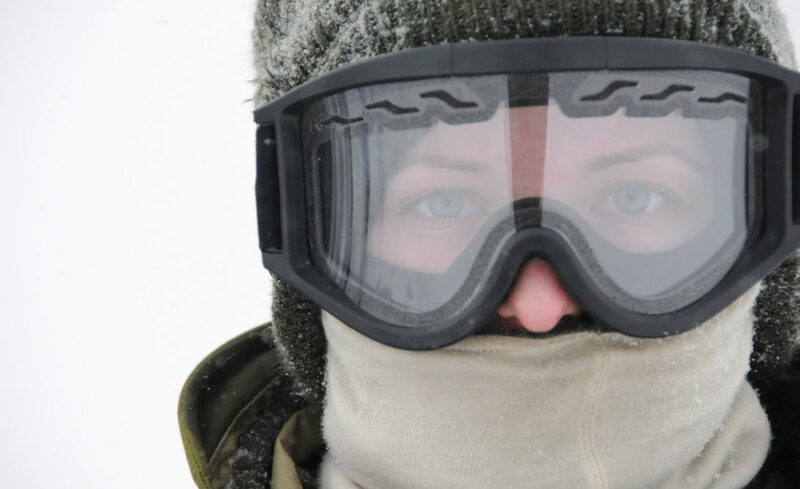 Winter allows plenty of options for snowshoeing, snowmobiling, and cross country skiing nearby. Whatever you end up doing in Joseph, the crisp mountain air, outdoor fun, and great food makes for a fun getaway weekend, all year round. 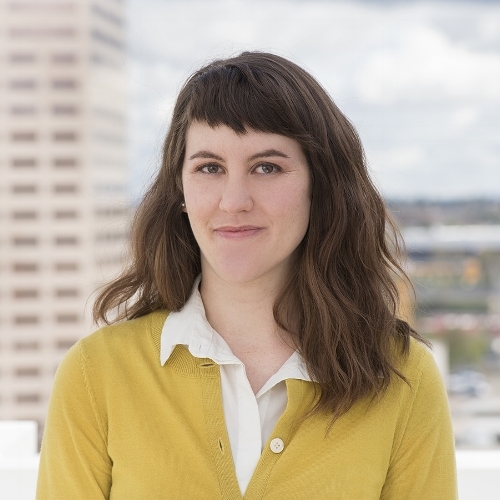 Katrina is a writer from Portland, Oregon, whose work has appeared in Red Tricycle, 1859: Oregon's Magazine, and Edible Portland, among others. 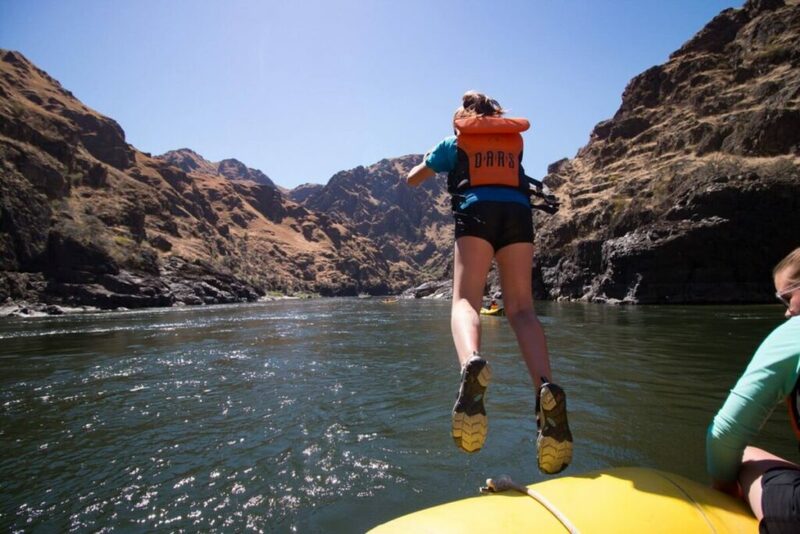 She's lived in Amsterdam, San Francisco, and the cornfields of Nebraska and currently spends her days chasing her toddler around the Pacific Northwest. Find more of her writing at www.katrinaemery.com.